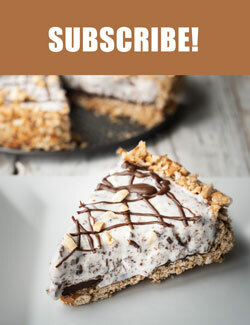 Desserts are popular in our house and we love a good crisp. 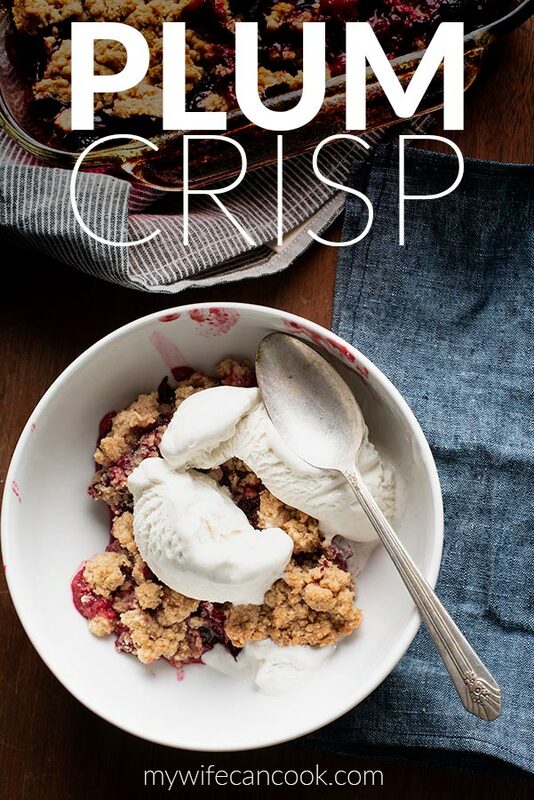 Blueberry crisp and apple crisp are among our absolute favorites, but this plum crisp has at least made its way into the argument for best crisp recipe. 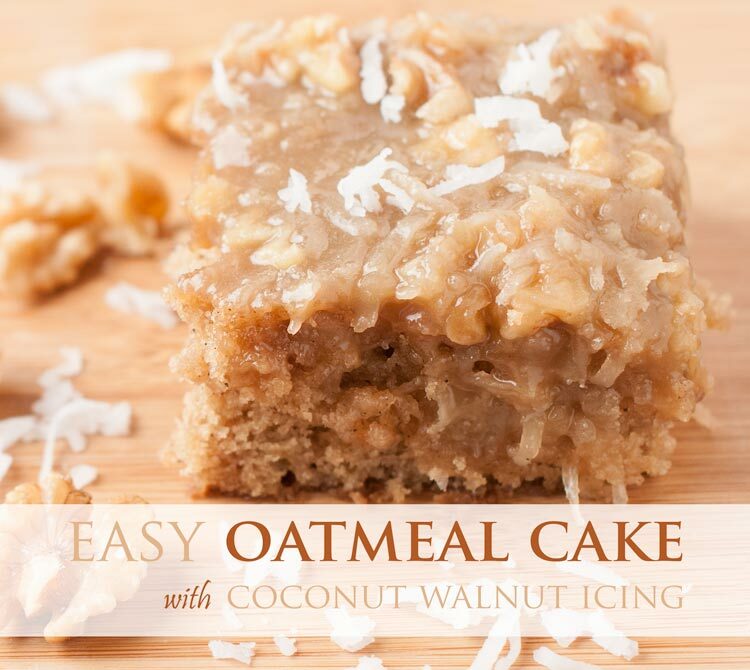 It’s a fantastic summer dessert and pairs well with vanilla ice cream. 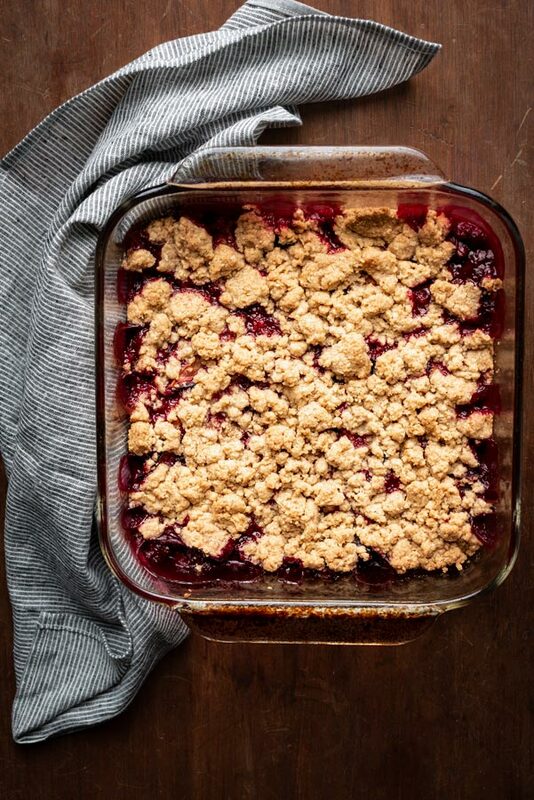 I first had plums in a dessert when trying my Great Aunt’s plum torte–she lived in NYC for years and was a reader of the New York Times, which first published the recipe back in 1983. 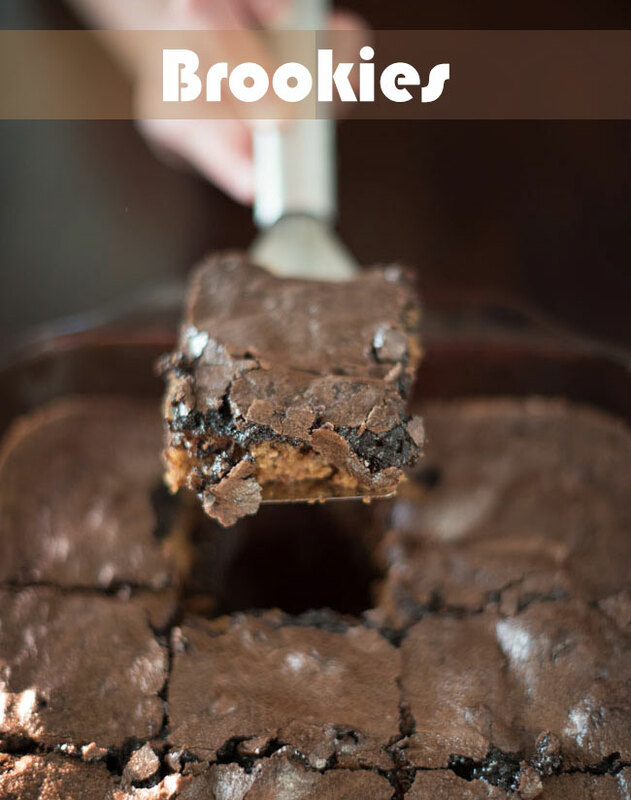 This recipe developed quite a following and there was even an uproar when they stopped posting it. For some reason, unlike other years, I have been able to find Italian prune plums everywhere and have had plum torte several times this year. So, of course, when I bought 4 quarts of plums a couple weeks ago, I made plum torte but decided to branch out and try something new. 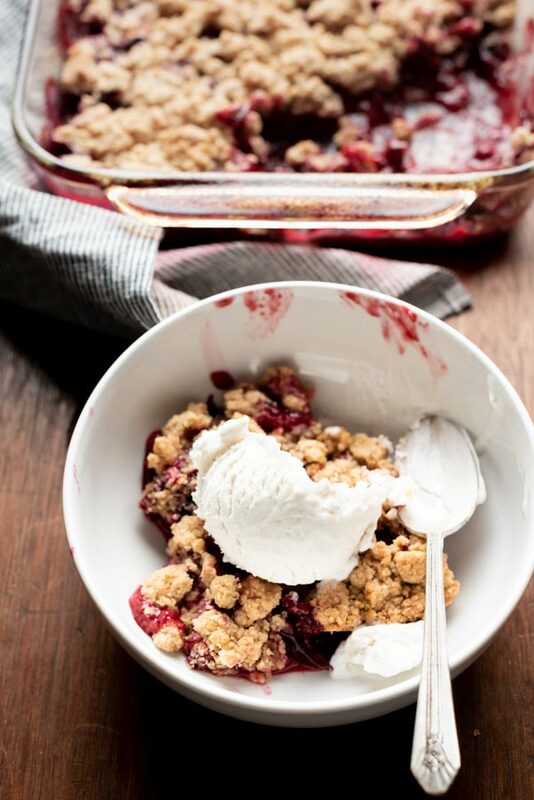 We make fruit crisp quite often, so it wasn’t hard to decide what to try making with the ripe plums. What type of plums do I need? 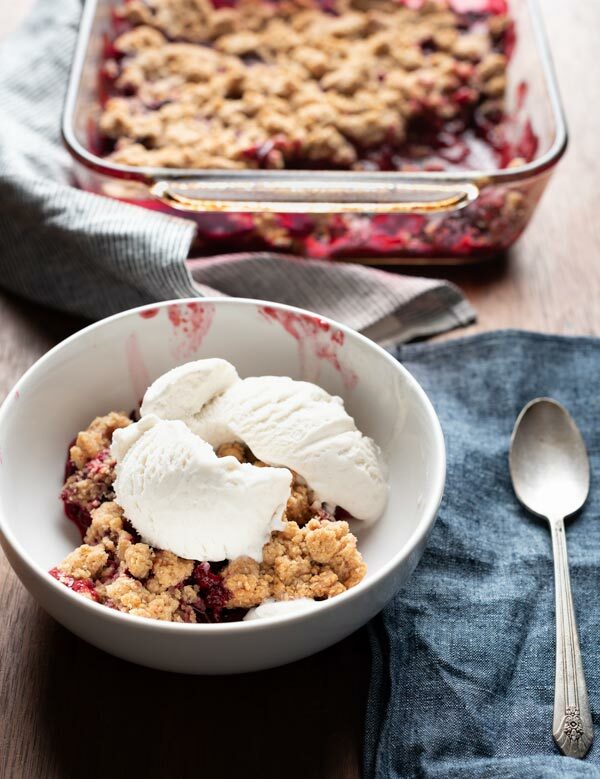 This plum crisp should work with any type of plum. I made it with Italian prune plums, and think they would be best suited for this crisp. They tend to show up at the grocery store around here in Maryland in late August or early September. However, I usually end up in New York state for visits in early September for the beginning of apple season and my family and I tend to search all over for them and hit the jackpot this year. They are an oblong shape and are a deep bluish purple when ripe (and a pinkish purple when not quite ready). If they are ripe when buying them, use them quickly as they don’t last. If they are still firm and not ripe, just leave them on your counter for a few days and they should ripen. They don’t need to be skinned and the pit is easily removed. Just cut them in half and remove the pit. For plum torte, I kept the halves intact. However, for this crisp, just thinly slice the plums and mix the plums slices in a bowl with the sugar and flour. The topping is easily mixed up in a food processor. I like the crisp part to come together and form a loose cookie dough consistency, but if you like a more crumbly top, feel free to process less to your desired consistency. A pastry blender can also be used to mix by hand. 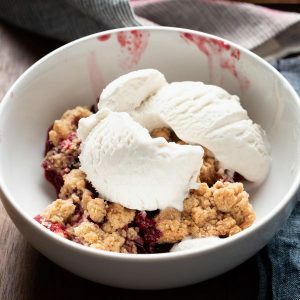 If you have specific dietary restrictions, fruit crisp is pretty easy to make substitutions without sacrificing taste. 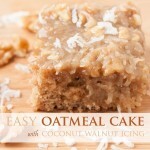 I have made this vegan and gluten-free by using a butter alternative and gluten-free flour. 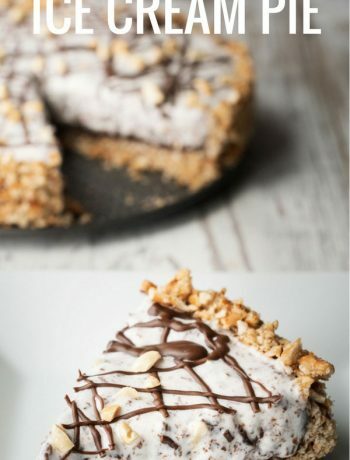 A oatmeal crisp topping with a plum base. Mix plums with 1 tablespoon of flour and brown sugar. Pour fruit mixture into greased 8 x 8 inch pan. Pour oats, flour, brown sugar, and cinnamon into food processor. Cut up butter into approximately tablespoon sized sections and drop on top of dry mix in food processor. Process until all ingredients clump together. Crumble crisp topping over the top of fruit mixture. Bake for 40-45 minutes. Let cool for at least 10-15 minutes and serve with vanilla bean ice cream.